Item # 144433 Stash Points: 1,197 (?) This is the number of points you get in The Zumiez Stash for purchasing this item. Stash points are redeemable for exclusive rewards only available to Zumiez Stash members. To redeem your points check out the rewards catalog on thestash.zumiez.com. 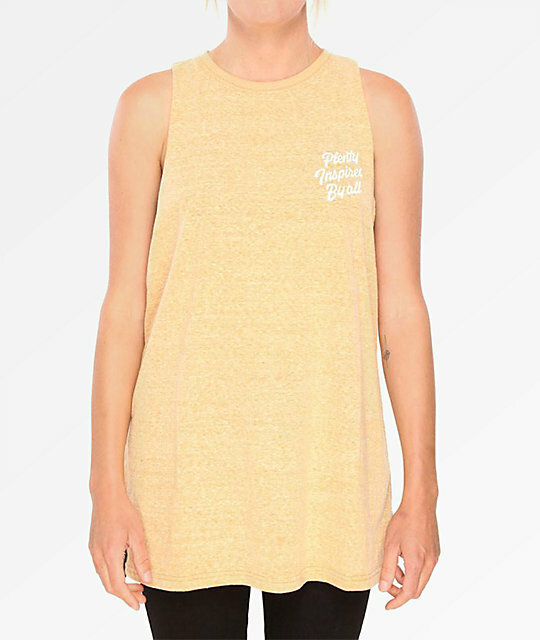 Refresh your look this season with the Retro yellow muscle tank top from Plenty Humanwear. 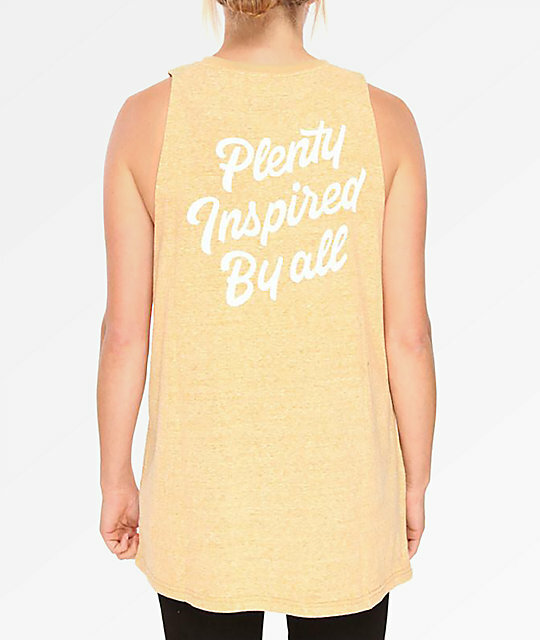 This super lightweight tank top is perfect for layering in the winter or wearing with shorts on warmer days and is finished with white script "Plenty Inspired By All" graphics at the left chest and back. Relaxed fit, slightly elongated tank top. 29" (73.5cm) from the shoulder to the bottom hem. Retro Yellow Muscle Tank Top from Plenty Humanwear.